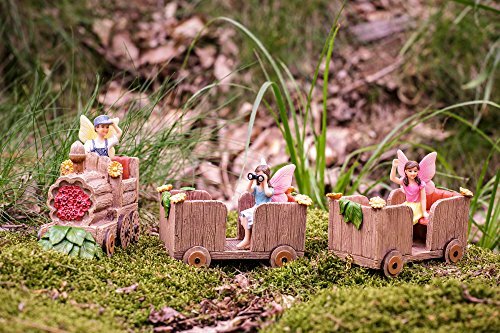 A SET LIKE NO OTHER — Join your fairies on their exciting sightseeing train trip. 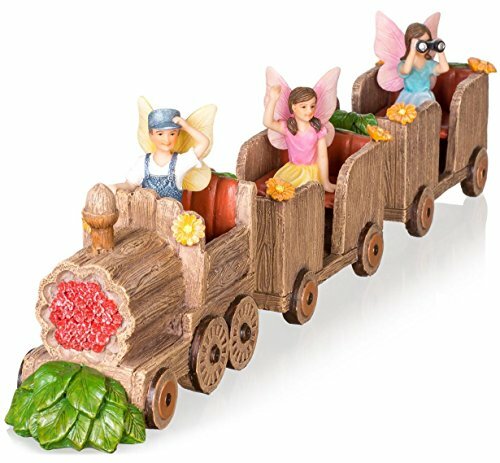 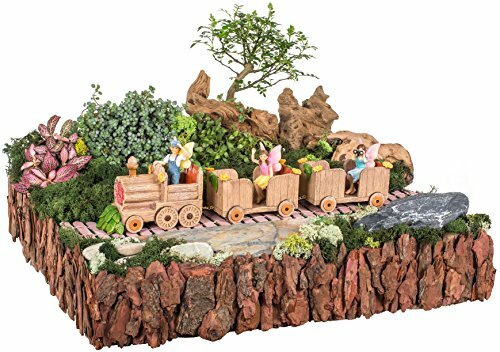 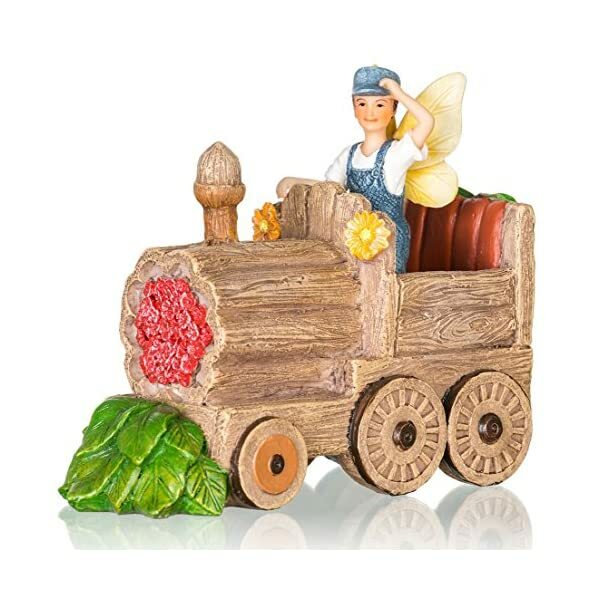 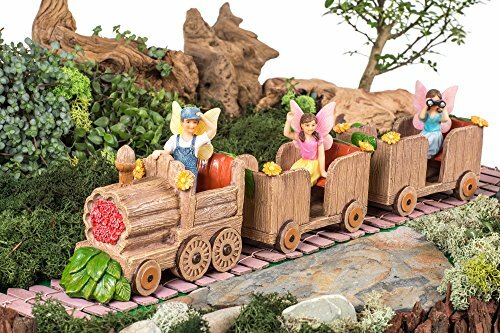 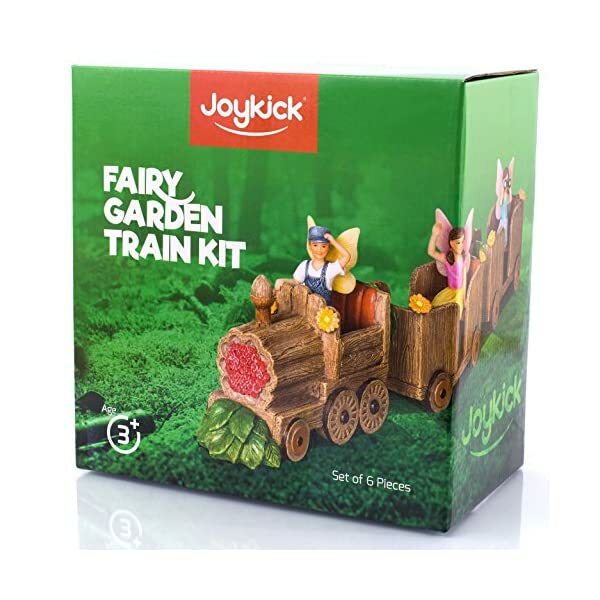 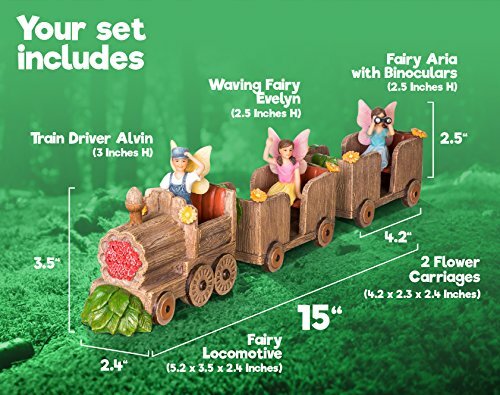 The 15 inch long fairy train set comes with individual carriages which can be connected and disconnected using chain hooks. 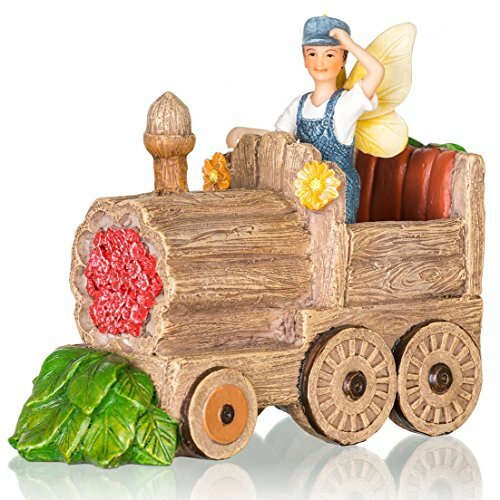 A unique piece that’s super fun to put together and the finished article is exquisite. 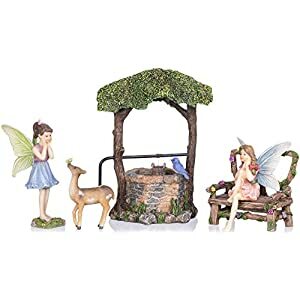 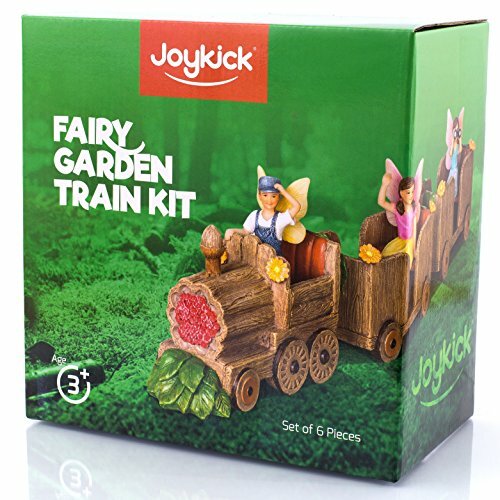 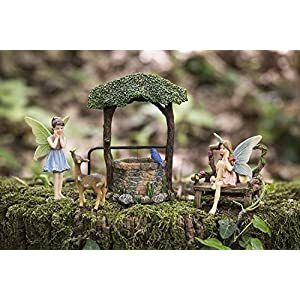 MIX AND MATCH — All individual pieces can be moved to your liking and combined with other Joykick fairy garden kits, so you can create your own unique fairy paradise. 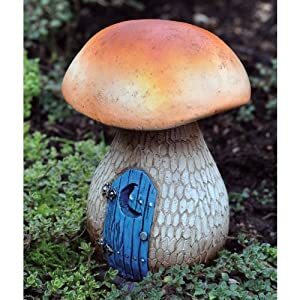 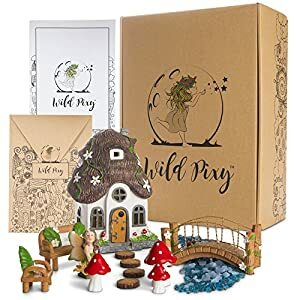 PERFECT GIFT FOR FAIRY LOVERS — Whether it’s for your children, grandchildren, wife, mother or friends, this kit is a truly special gift for any occasion. 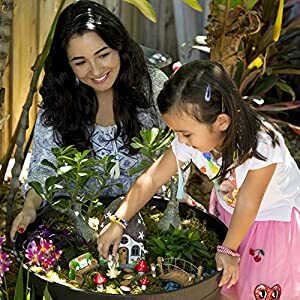 Suitable for indoor or outdoor garden and looks great on the lawn, in a flowerpot or under a tree.